Koh Tao, the word by itself brings a smile to my face. 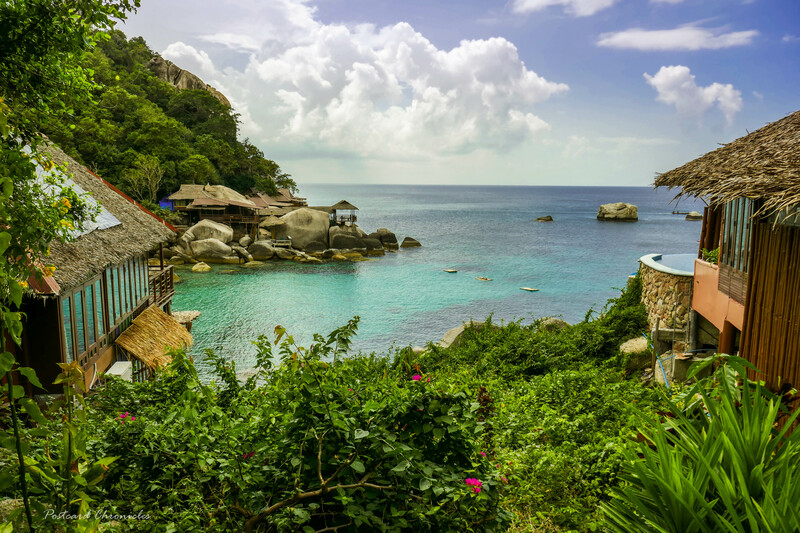 Known as the mecca for scuba divers, Koh Tao boosts some of the most beautiful dive sites in the world. But Koh Tao’s beauty extends far beyond its glittery surface, offering up a wide range of amazing activities suited to every interest of a traveller. When I was planning my first trip to Thailand, I wanted to see an island that’s less touristy, but at the same time offering plenty of marine activities. Koh Tao was the best bet I found. This jungle-topped cutie island has the busy vibe of Koh Samui mixed with the laid-back nature of Koh Pha-Ngan. The place will surely steal your heart, the moment you set foot on this turtle shaped island, you’ll know why it’s a best kept secret among Indian travellers. This quaint piece of island is so much fun to explore. You can rent a motorbike to explore the island. For adrenaline lovers, even quad bikes are available on rent. Getting around is adventurous as the terrain is hilly, but once you’ve braved the steep inclines and winding downhill’s on a scooter (or more expensive option of ATV bike) you’ll land up in blissful coves of palm trees. Koh Tao is your goto destination for getting your scuba certification. Every second shop is a dive shop offering PADI or SSI certified dive courses. Can you believe there are 60+ dive shops in this tiny island! It’s most popular for its underwater treasures and you’ll see many a diving boat anchored just off the shore. I loved the Pirates of the Caribbean feel of Hin Wong Bay, picture pefect Tanote Bay and the transparent waters of Aow Leuk Bay. If you’re lucky you’ll get to see turtles and sharks in the shark bay. No other island offers so many hiking trails. Koh Tao is a paradise for hikers. Often you will see very few other people on the hiking trails. It’s peaceful and it gives you the opportunity to really get away from it all. I can write an entire article only on the viewpoints in Koh Tao. That said, John Suwan Viewpoint and Koh Nang Yuan viewpoint are the must do hiking trails. For all the people who love the wild, there is also a secret trail that takes you to Sai Nuan beach from Jansom bay (Shh! Keep it a secret, will you?). This route has some brilliant views till you reach the beach. There is no dearth to secluded beaches in this island. While Sairee, Mae Haad and Chalok Baan are the most popular ones, there is also Saan Jao beach and Aow Leuk bay which gives us luxury of having the beach to ourselves. Freedom beach is one of most popular private beach in the island and my personal favourite as well. It was the picture of Koh Nang Yuan that made me want to visit Koh Tao in the first place. Koh Nang Yuan is what dreams are made of, the scenery looks straight of out of fairytale. Koh Nang Yuan is one of the most beautiful islands in the world. It is actually made up of three small islands connected by a sand bar and you can walk to the other island! How cool is that! Never ever miss a chance to snorkel in Japanese garden dive site in Koh Nang Yuan. Trust me, you won’t want to come out of water! Tanote Bay’s legendary cliff jump is not for the faint of heart. Measuring at up to 12 meters high, adrenaline junkies can climb a permanently anchored rope to the top and launch themselves into the deep, crystal-clear sea below. All of the jumps in both Tanote and Laem Thien have been cleared for safety, but still mind the risk! One thing visitors to Koh Tao note is its high quality of food, and for quite the value at that. On this island of only 21 square kilometers you can find Tex-Mex straight from SoCal, savory Indian, fresh sushi, and truly anything else you can possibly crave. So what are you waiting for?! Pack your bags already!